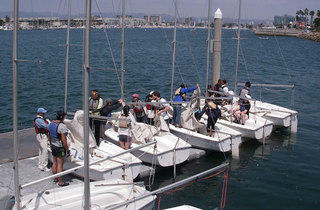 The dock at the UCLA Marina Aquatic Center. 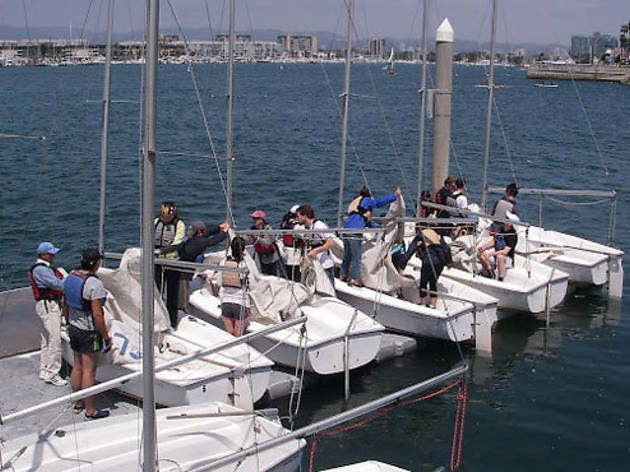 Owned and managed by UCLA, this waterfront facility in Marina del Rey offers excellent instructional classes and rentals for sailing, rowing, kayking, windsurfing, surfing and stand-up paddling. Open to non-UCLA students and alumni.